So I’ve come to the conclusion, while writing these blogs, that this is just a really great excuse to get out of my house (or office… but let’s not tell my boss that!) and snap adorable shots of my son, who won’t remember any of this, doing Adirondack Coast-y things! Like most highschoolers in Peru, NY, I worked at Rulfs Orchard. Nobody passes up an excuse to go back and see Bob! He's the orchard's founder, and his stories will crack you up. 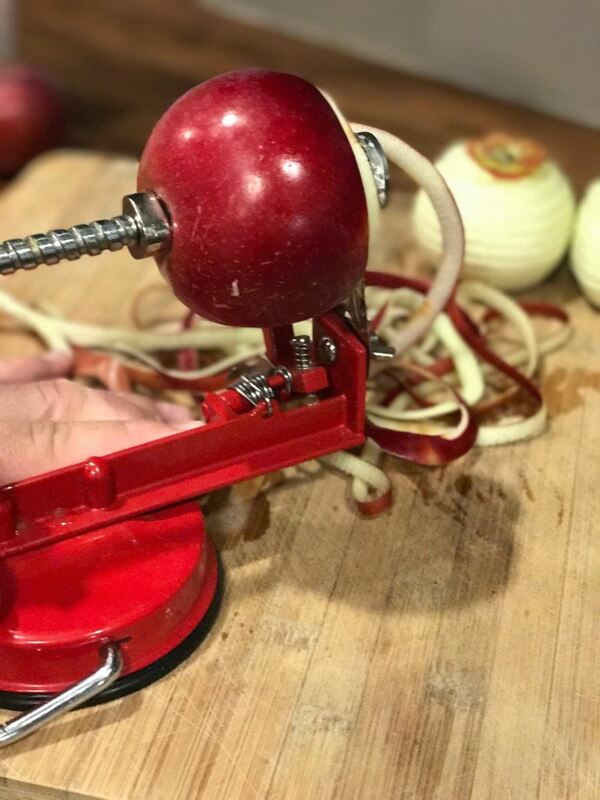 During apple season(mid-September to mid-October), Rulfs offers U-pick apples, which not only allows you to experience picking apples out in the orchard with your family, but makes for some prime photo taking opportunities – so bring your camera! Mom of non-walkers tip of the day: bring a stroller! It’s a great walk through the orchard, but just far enough that carrying a 24-pound 9-month-old WILL lead to an avoidable hot-mess mom moment. This may look like a picturesque fall photo with breezy 60° weather, but in reality, it was an 80° day in September (unheard of around here!) and we were both sweating through our cute fall outfits. And Rulfs isn’t the only Adirondack Coast orchard that offers u-pick options, there are several other orchards throughout the area that are just as beautiful and packed full with delicious apple varieties. 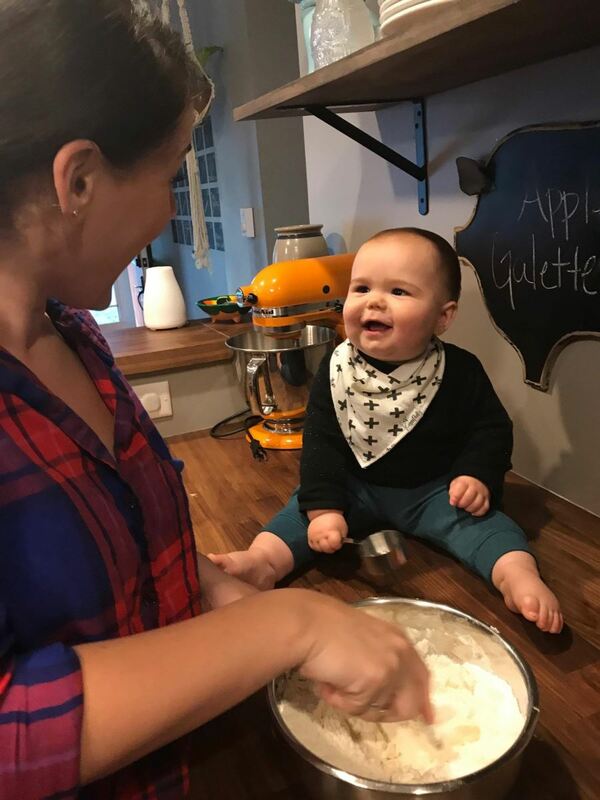 All of them also offer some other sort of delicious treat or activity for your family to enjoy! 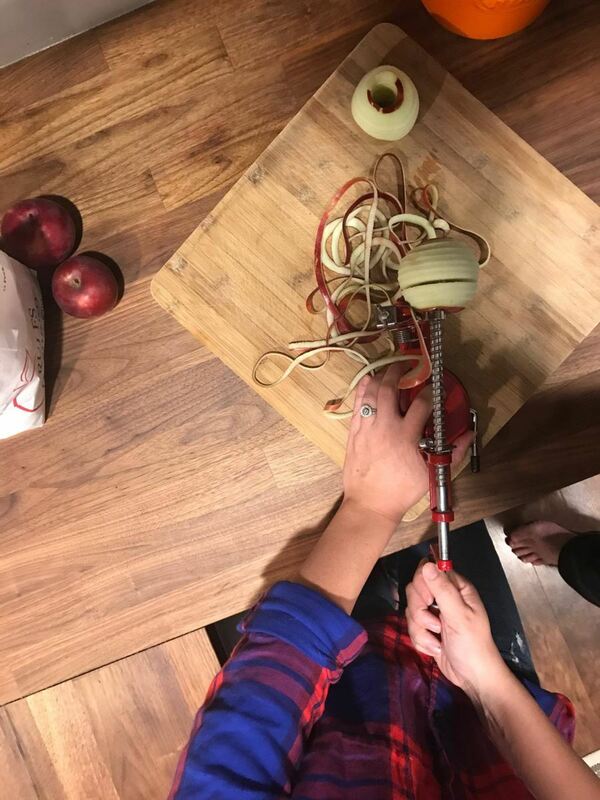 Since apple picking was kept to a mother/son moment, we made sure to bring home our U-pick treasures so that our personal chef (AKA husband/dad) could turn them into something yummy. 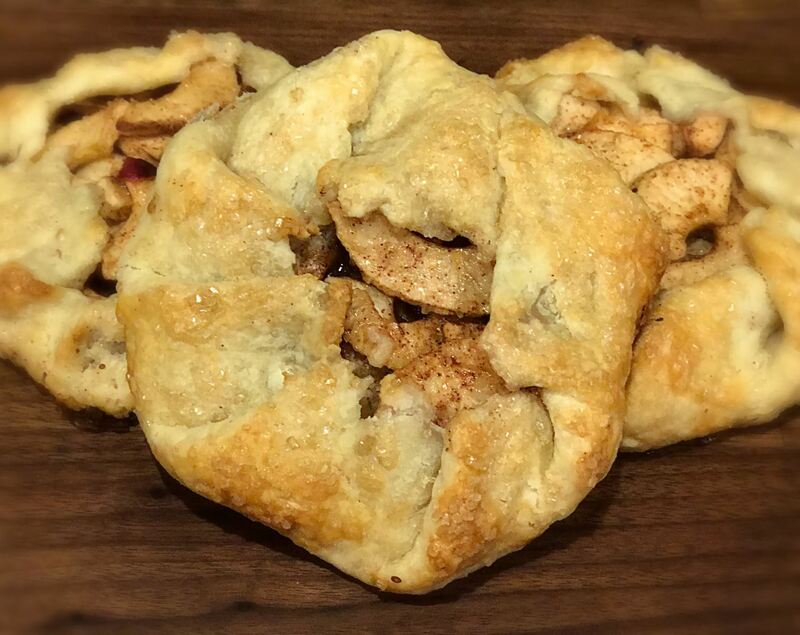 I introduce this season’s Adirondack Coast Kitchen... 🎶 insert introductory music here 🎶... apple galettes! 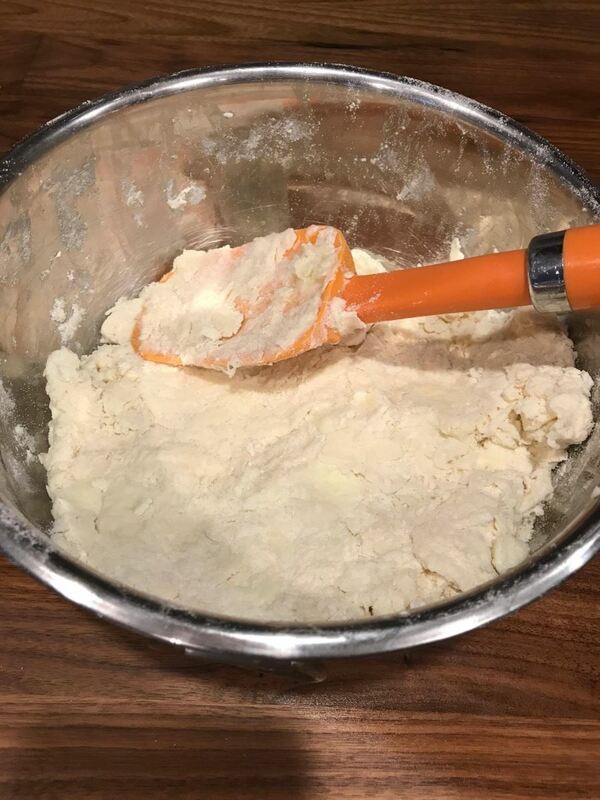 Begin the dough by mixing the flour, sugar and salt together in a medium mixing bowl. 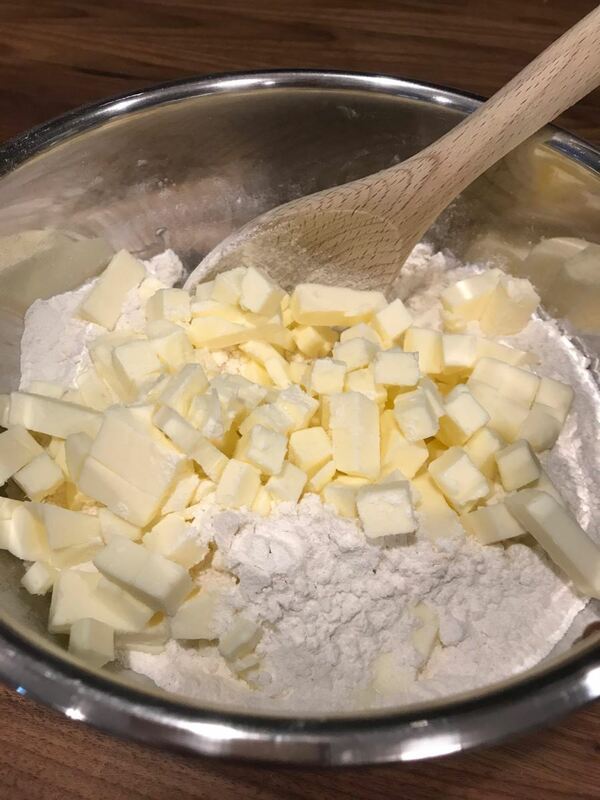 After cubing the cold butter, begin to cut it into the flour mixture with a fork. 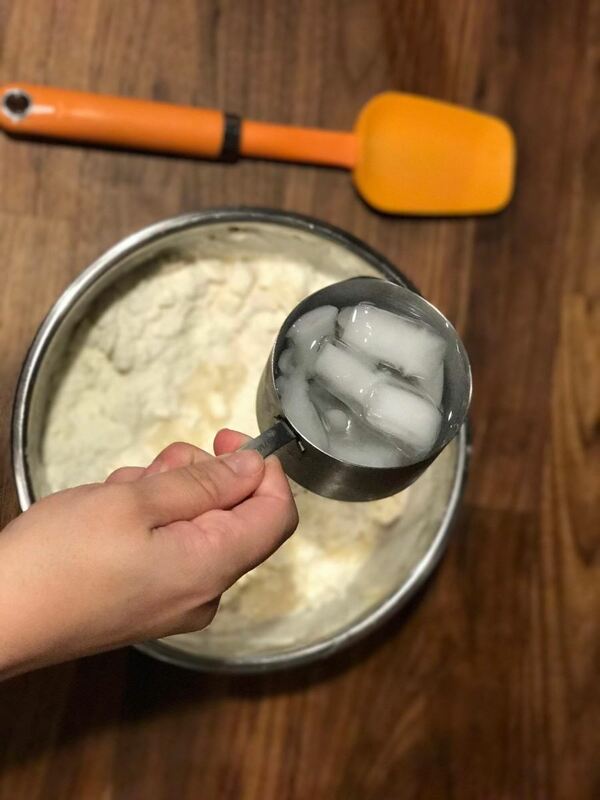 Once all is mixed and only smaller chunks of butter remain, start adding ice water a teaspoon at a time until the mixture begins sticking together. 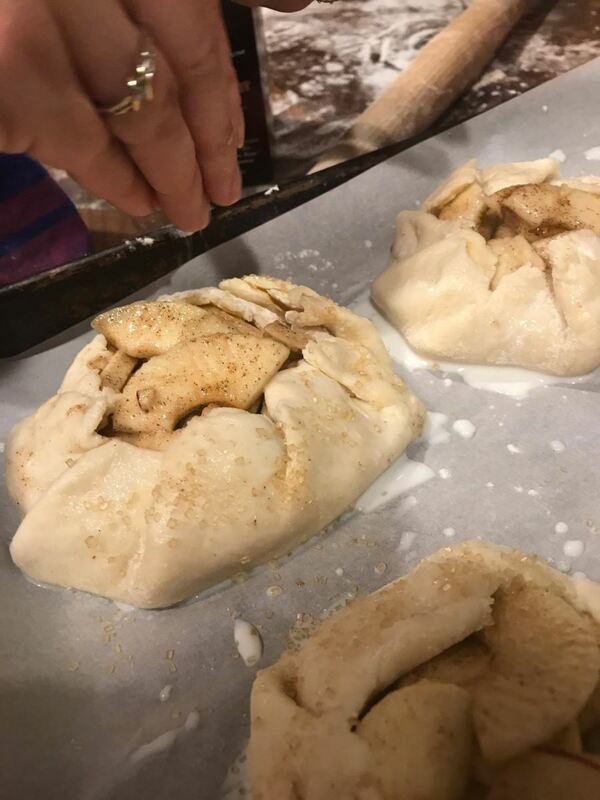 Dump the dough out of the mixing bowl, kneed for 30 seconds, wrap in parchment paper and refrigerate for 1 hour before using (dough can be refrigerated for up to 3 days). 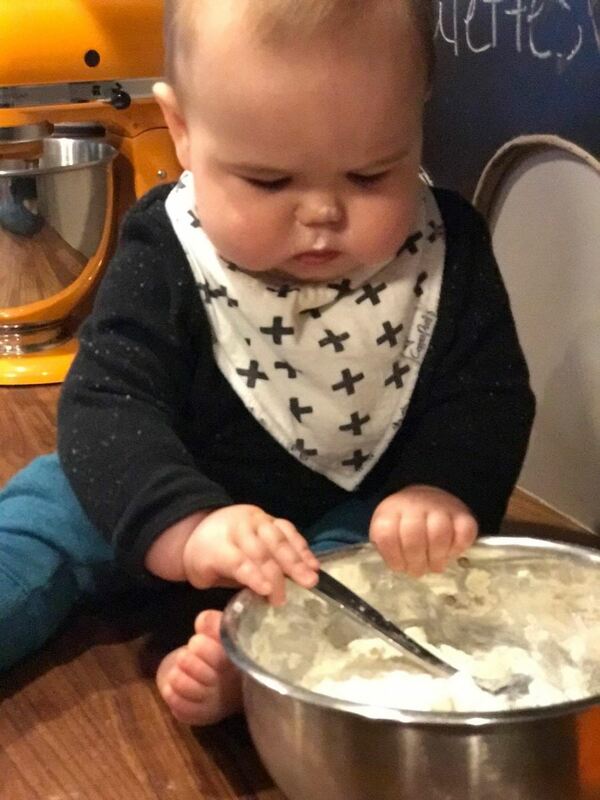 Lawson being on the counter looking cute lasted all of about 5 minutes before destruction began and flour was all over the counter – the things a mom will do for a good photo! Filling: Peel and slice 6 McIntosh apples (these MUST be local - we are the 2nd largest McIntosh producing county in the Unites States, no excuses people!). 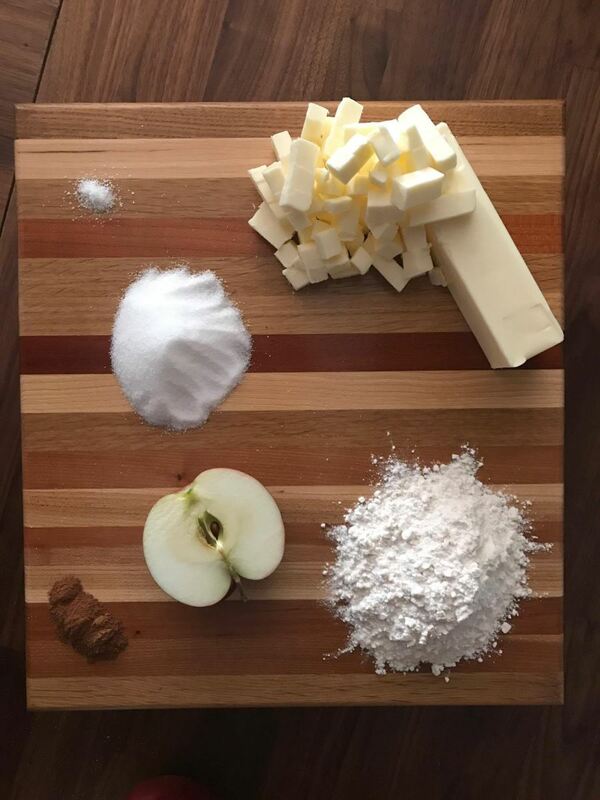 In a bowl, mix together the sliced apples, sugar, cinnamon and corn starch until apples are well coated. Set aside. 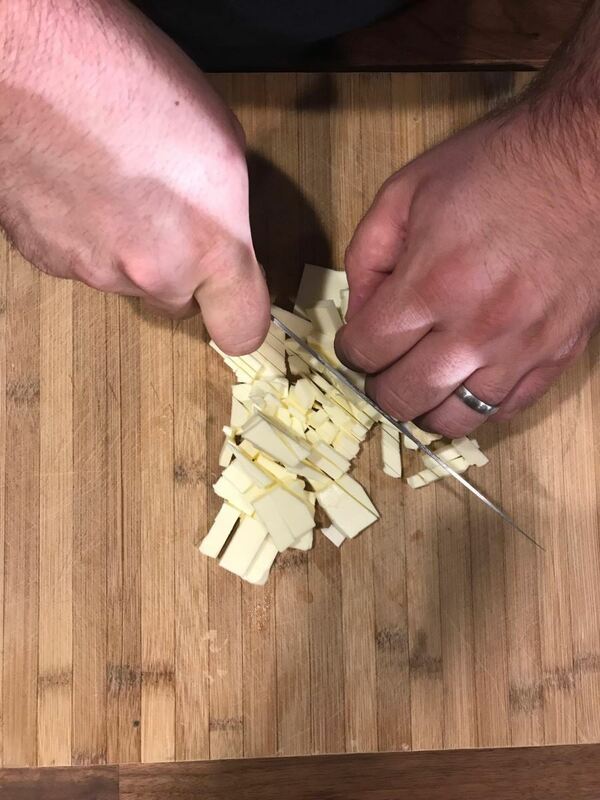 Assembly: Cut the dough into 6 even sections. 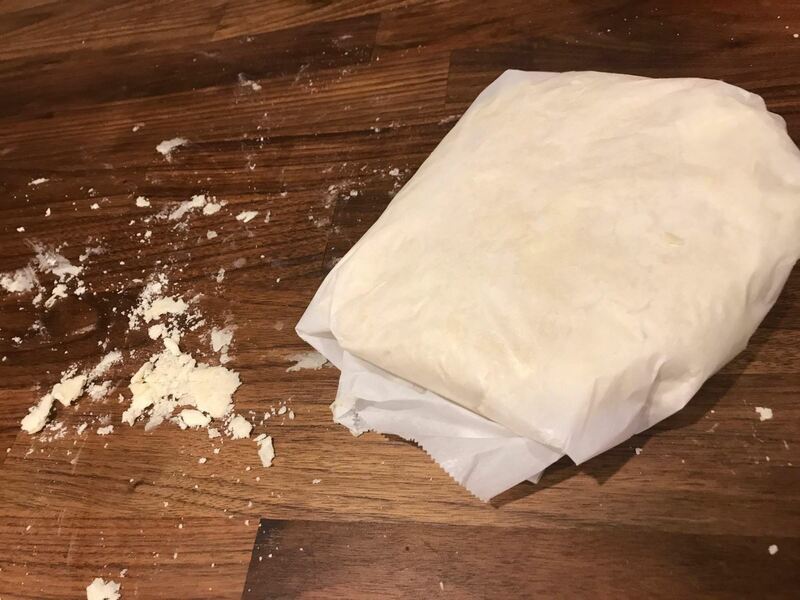 Roll one section out into a 1 cm thick circle (Tip: coat working space and rolling pin with flour to prevent dough from sticking). 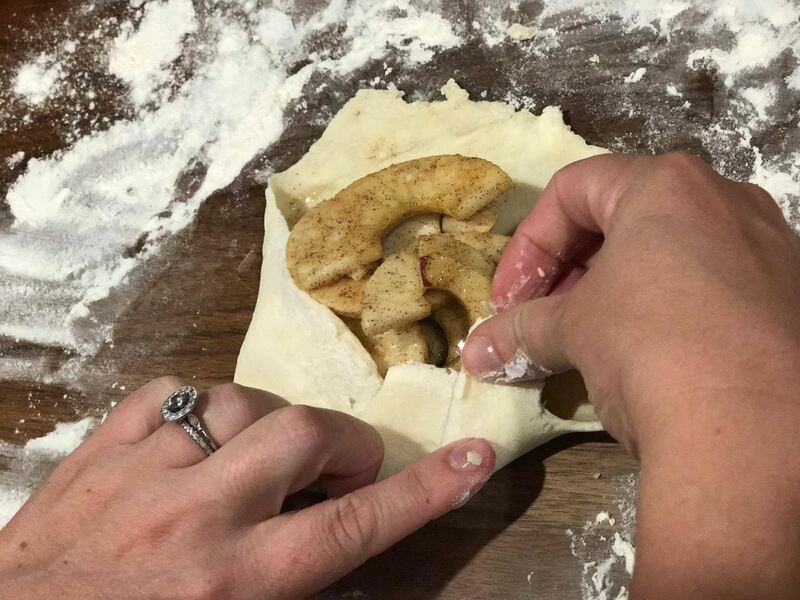 Take handful of apples (equal to one apple per galette) and place in the center. 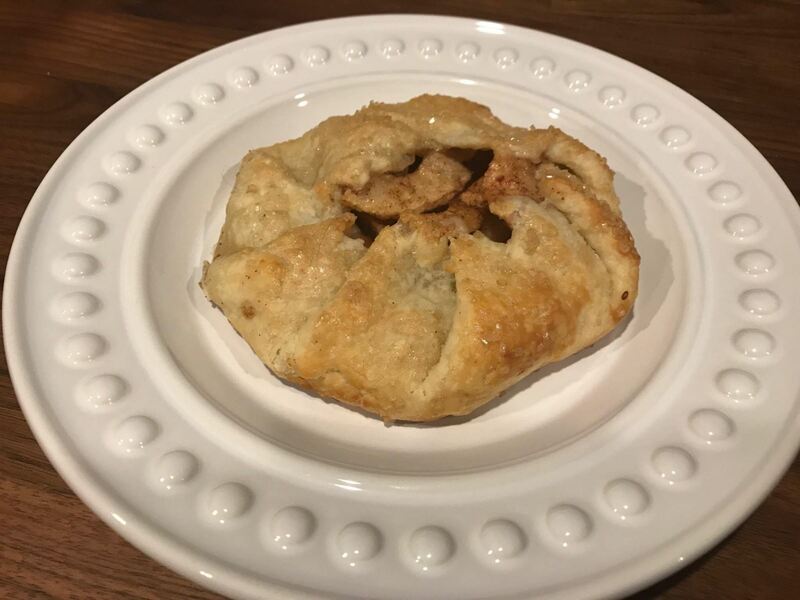 Begin to fold the dough up onto the apples one section at a time, leaving an open circle in the center for apples to show through. 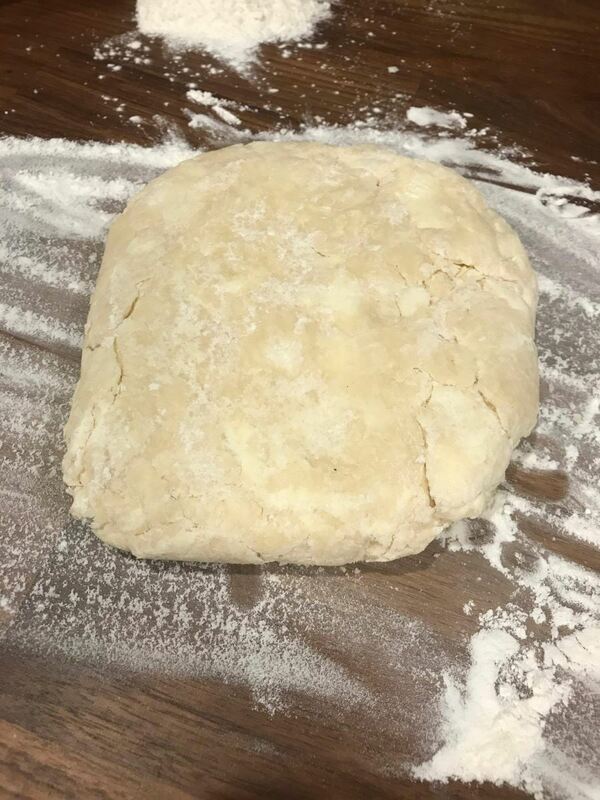 Place on parchment lined pan and repeat with the 5 other sections of dough. 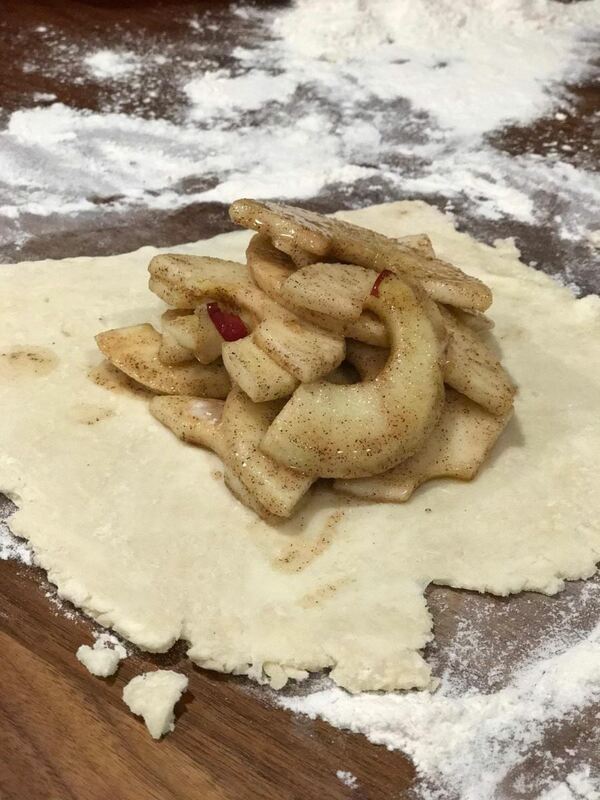 Brush the outside of the dough with heavy cream and sprinkle with course sugar for a little extra crunch. Place in oven on 375° for 20 minutes or until golden brown in color. Let cool, or if you’re impatient like myself, don’t let it cool and burn your mouth… totally worth it! Best served with vanilla ice cream - I just completely forgot to buy the ice cream, but they are delicious even without! Aside from some nervousness about screwing up the consistency of the dough, these really were not hard to make. 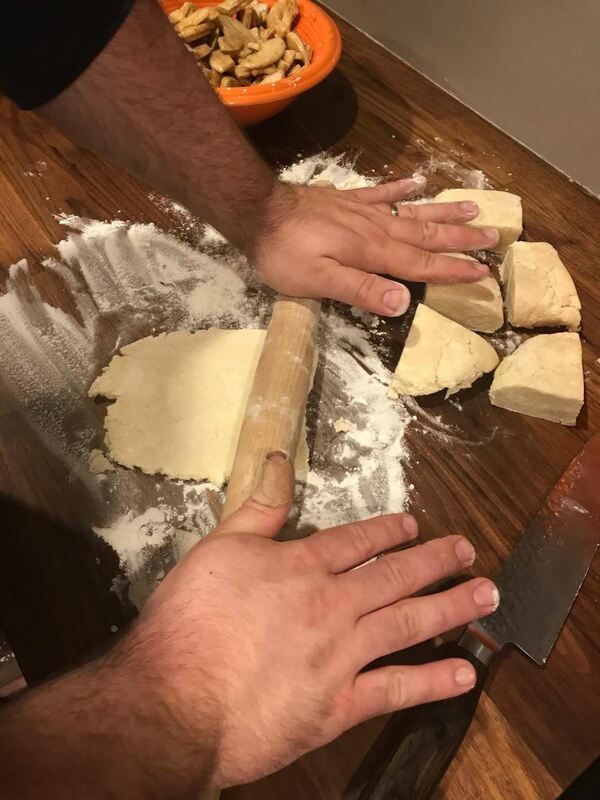 As you can see in the photos, nothing was perfect – the “circle” of dough was more like a jagged square and my folding technique was totally not chef-husband approved, but I did it. They were delicious -- and to me, that's just about all that matters 😉!